Arkansas Country Doctor Museum > Ruth Riley, R.N. Ruth Riley was born in Salina, Kansas on March 31, 1886, the daughter of Charles W. and Safronia Kenney Riley. She graduated from Washington University School of Nursing in St. Louis, Missouri. In 1912 she came to Arkansas at the age of 26 to be the first administrator of the newly built Fayetteville City Hospital. In the fall of 1956 she suffered a debilitating stroke. Thereafter she was confined to a wheelchair but continued in her position for 3 more years. When she retired at the age of 73, she had served the hospital for 47 years. On December 5, 1967, at age 81 she died and was entombed in Fairview Mausoleum in Fayetteville, Arkansas. Miss Ruth Riley’s commitment to Fayetteville City hospital was complete, unwavering and without question. During her long tenure as the hospital administrator she was responsible for management of the hospital finances, the administrative staff, the school of nursing and for the nursing care of patients. Miss Riley was a fundraiser. She confronted the County Court for more hospital beds, a laboratory, classrooms, an x-ray and an incinerator and when the money was raised she threw the first shovel of dirt for the excavation. She appealed to people to make memorial gifts to the hospital; reactivated the hospital auxiliary (inactive after helping raise money to build the hospital); made personal appeals to the City Council for financial support, kept tight rein on the expenses to present to possible donors. Miss Riley was an innovator. She saw the need for upgrading administrative and medical support services. She recognized the lack of medical equipment and ancillary services in her small hospital and cooperated with the doctors to provide permanent patient records, a laboratory, x-ray equipment and trained personnel. It was said that Miss Riley was 100 percent behind her employees, many who worked for years under her direction. Ruth Riley opened a nursing school in 1913 just months after she arrived in Fayetteville. A total of 95 nurses graduated before the school closed in1934. Most of the graduates continued to work at the hospital, in public health, in doctor’s offices and on private duty cases. Her school supplied the only nurses in northwest Arkansas for 21 years. 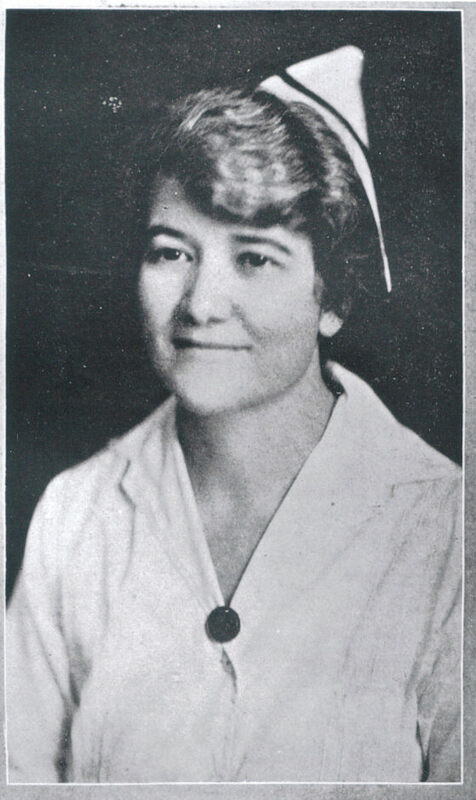 Ruth Riley was first and foremost a nurse. Letters, interviews, stories and commentaries attest to her personal influence and leadership in making Fayetteville City Hospital a model of loving concern and superior and distinctive nursing care of its patients. Several nurses and nurses’ aides spoke of her in glowing words, of her expectation of hard work and excellent nursing care, her calm yet commanding presence, her smile and encouragement. Knowledgeable, kind wise, honest, and fair were words they used to describe her.She remains a model to nurses who follow her in the years to come, and a dynamic heroine in the beginning years of Fayetteville, Arkansas as a prominent medical center.